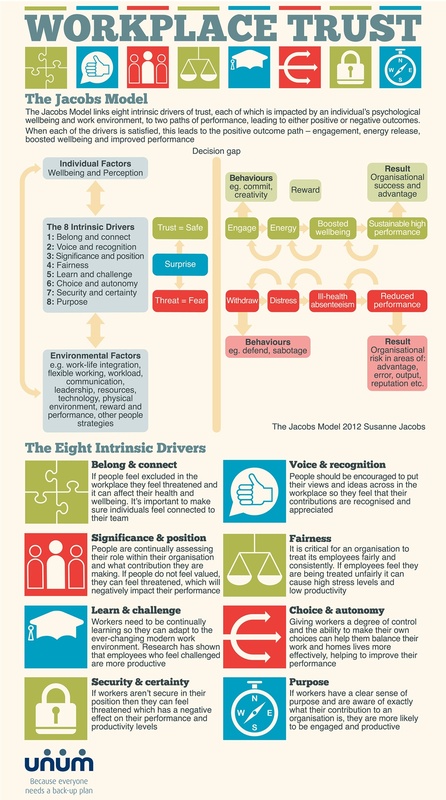 As you can see from the infographic that when trust diminishes, psychological safety diminishes and this has a profoundly negative affect across a range of areas (performance, engagement, productivity, morale and more). Therefore building a sense of trust around these 8 pillars is a simple, yet effective way to create a thriving Agile culture. 1. Belong and connect: We have a fundamental need to belong. Ask yourself, does every member of the team feel part of the team? 2. Significance and position: Does everyone feel valued, is everyone in the team being heard? If not this could negatively impact their performance. 3. Learn and challenge: The latest research shows that when individuals are challenged (but not beyond breaking point), their performance and engagement improves. Are you offering ‘real work’ that is challenging? 4. Security and certainty: Psychological safety is a critical aspect of a thriving Agile culture. As soon as a sense of safety goes, nearly every marker of organisational health (productivity, engagement etc) declines. 5. Voice and recognition: People want to recognised and appreciated, its an important aspect to feeling valued and safe. Being able to ‘speak truth to power’ and being heard are important behaviours of a healthy culture. 7. Choice and autonomy: Having flexibility and autonomy improves engagement and productivity. Whether its flexibility to work from home or some autonomy in decision making, the rewards are clear…. choice and autonomy help to create thriving cultures. 8. Purpose: We are at our best when we feel we are contributing to something bigger than ourselves. Purpose is a fundamental human driver that helps people to achieve extraordinary things. You may already be handling these eight intrinsic drivers right now (either in a conscious and deliberate way or in an unconscious way – it just happens to be the kind of person you are). So simply use this infographic to ‘check in’ with your present situation to ensure you feel confident you have this handled. If you do, great you have a strong foundation. If not, that’s still great because at least you are now aware and can take some action steps to remedy the issues you’ve spotted.